A minister friend of mine was sharing some of his struggles. They’ve been through a major building program and thought the enhanced facilities would facilitate numerical growth. It didn’t. He’s been at the church a good long time and has seen a lot of ups and downs. He told me, “I’m a plodder.” He is, and it seems to me that’s good. Anyone can start a race well; the starting line of a marathon is crowded, the finish line not so much. Anyone can be energetic and put forth good effort, for a short time. To do so for the long haul is a different matter. 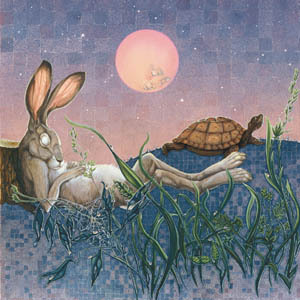 Remember Aesop’s fable of the tortoise and the hare? The hare had the advantage with speed, the tortoise with perseverance that translated into plodding, and it won the race for him. A long and faithful ministry is done one week at a time, one sermon at a time, one Bible study at a time, one day at a time, one hospital or nursing home visit at a time, one (do I have to write this?) board meeting at a time, one conversation at a time. Well said. 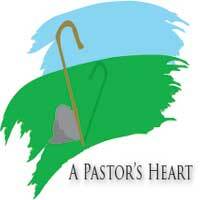 Being a small church Pastor can be very rewarding and sometimes heartbreaking. It seems a sign of the times that there is less and less interest in the corporate church for anything other than hatching, matching and dispatching. We hear how folks can worship anywhere but I have never heard anyone on a golf course giving praise to God or on a tennis court giving their commitment to the faith journey. It is like society has put us in a position to compete with all kinds of other options for the fime and attention of folks. It occurs to me that we need not be in the position of making faith a business transaction or a competition or a recruitment drive. If we didn’t compete, we were simply there for the folks who desire that personal relationship with The Lord, for those who come to the church, not investing time and energy in chasing those who have a no care attitude, then they might be more of a mind to come our way even if out of curiosity for what we have to offer. It would also allow us freedom to be more present for those who come seeking, more time for personal investment. Oh our churches might not be so grand but they might be stronger from a more faith-filled, committed congregation. Jesus called twelve and reaped a harvest of eleven. But what those eleven did in His name changed the world. Jesus never competed for folks, never had an advertizing compaign, never built a cathedral, never sought a larger and grander audience, just kept following His mission plan. Bobbie, thanks for your thoughts. So true! Our greatest asset for drawing others into a relationship with Christ is not a a program or publicity but our own people who have a love for each other via Christ, a deep yearning for others to be a part of that loving church family, and, even more importantly, that they would come to know the love of Christ Himself. We’re all to go out and connect with others for Christ, then invite them into this loving, dynamic family of God’s. This usually happens one by one, this process of making disciples. It’s done through the love of Christ, the love for a person to come to Christ and grow in Christ, not the love the coming of a lot of people together to grow a crowd.